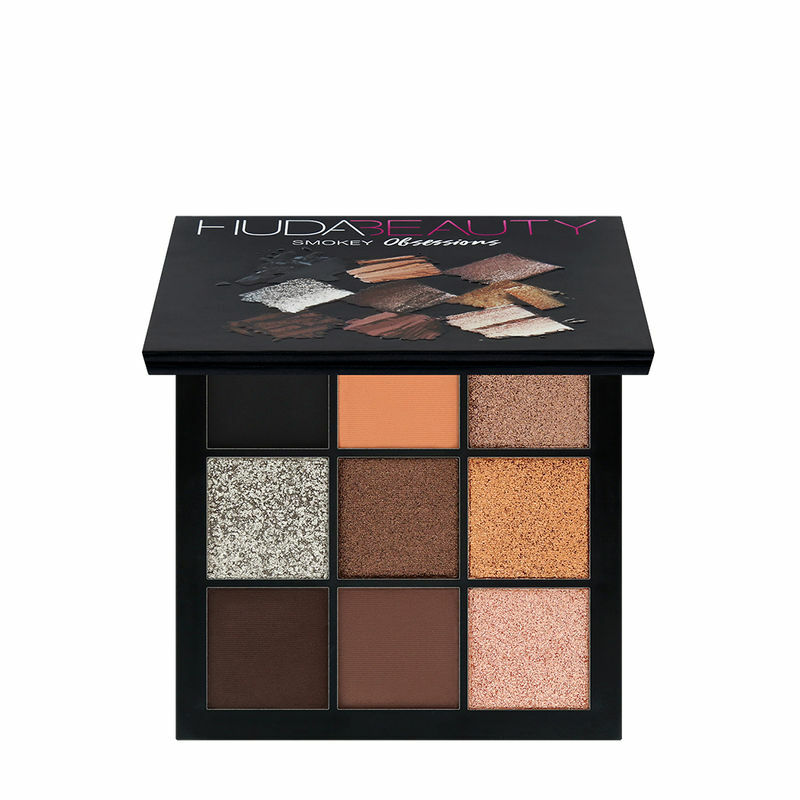 Each Huda Beauty Obsessions Eyeshadow Palette is packed with a selection of 9 highly pigmented mattes and striking shimmers to create versatile and timeless looks. Available in 6 colour themes Warm Brown Obsessions, Mauve Obsessions, Smokey Obsessions, and Electric Obsessions the palettes are super compact and lightweight, quickly earning a top spot in your makeup bag. - A range of compact eyeshadow palettes, expertly curated by Huda herself, offering beauty lovers on-the-go a complete day-to-night eye colour wardrobe. Huda Beauty Smokey Obsessions (9 x 1.1 gms) : This range of 4 mattes and 5 shimmers is perfect for mastering a smokey neutral look. An intense black, warm shades of dark brown, taupe, champagne, gold and silver give you a spectrum of colours for a vast array of looks.